Before we left for a visit of the Mahlkönig factory in Hamburg we gave you the opportunity to ask the team questions through us. We want to keep our promise and share with you the answers we received. Christian Klatt, the brave representative of Mahlkönig has worked as a senior product manager since 2007. 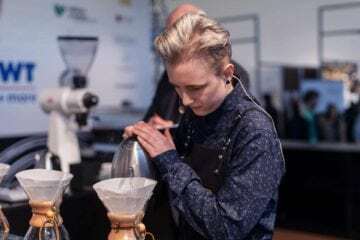 He joined the company after gaining the third place at German Barista Championship that year. You hardly learn more about the science of coffee grinding from anyone else in the coffee world. We received many interesting questions coming from different countries that also approached the topic from different angles. We picked eight of them to ask Christian in person. Let’s see Christian’s answers! Why is there the 7 months waiting time for an EK43? Well, first of all, there is such a high demand, and I cannot say that enough, it is a manually assembled grinder. All the parts were designed many many years ago and the production takes a long time. Moreover the tools can’t produce that many parts at the same time. As you will see in the video from the assembly line every single grinder takes a long time to build so we simply cannot build that many grinders at the same time. We are constantly trying to reduce the assembly time and reduce the delivery time, we have ramped up the production by 100% over the last year [note: current production capacity is 350 grinders per month], still the demand is growing. This year again we will increase production by nearly 100% to approx. 600 EK43. Unfortunately we won’t be able to reduce the delivery time. We need to ask for your patience. We have to make sure grinders are working perfectly, that also means that they take longer to be produced and we need to put more focus on assembling these grinders. Are you planning to do something for home baristas? In the price range of 250-300 euro. Up to now we have Vario Home in our portfolio and in the near future there won’t be any new products for home users. For the further future you never know. When will you release the barista model of EK43? The EK43 Barista was first shown at Milan at the HOST show in October 2015. It was a concept of design and function. We tried to put all different ideas into this EK43 that we think should be available for the barista model of that version. Since then we have been developing it further in our lab and we are confident to show you the next version at Internorga in Hamburg in March 2016. Soon after that we will start field testing it and we are planning to release it on the market by the end of 2016. So wait for it until autumn. Why don't Mahlkönig offer factory tours? We actually do offer factory tours! Just give us a ring, send us an email. Of course I hope you understand that we cannot do a factory tour to every single customer. We try to focus on our partners and our service dealers but if we find a date where we may combine several customers coming then of course it is always possible to visit our factory. Why is there no EK43 mini available? We decided to make small EK43 as a limited edition because it is not supposed to be the standard. The EK43 Barista is already quite smaller in its body height so wait for the EK43 Barista, maybe it will get even smaller. How do I get the best out of a Mahlkönig Tanzania Grinder? Keep it clean! You get the best out of every grinder if you keep it clean – if you clean it regularly. Either opening it for which you need some basic technical knowledge (or you should actually go through the training at HEMRO Academy) or you use our grinder cleaner GRINDZ also regularly to keep the grinder free from oily coffee residues that would block the spout eventually and reduce the grind speed. Do you need a new endorser? You could put a sticker with my face on the grinders if I get an EK43 for free. That is a very good question and I would like to turn it around. We can always provide free stickers with your face – so if you send us your picture we will come up with a nice sticker and we will send it to you. You can put that sticker wherever you want, also on your EK43. Just above Matt Perger's sticker. What kind of coffee do you drink at work? 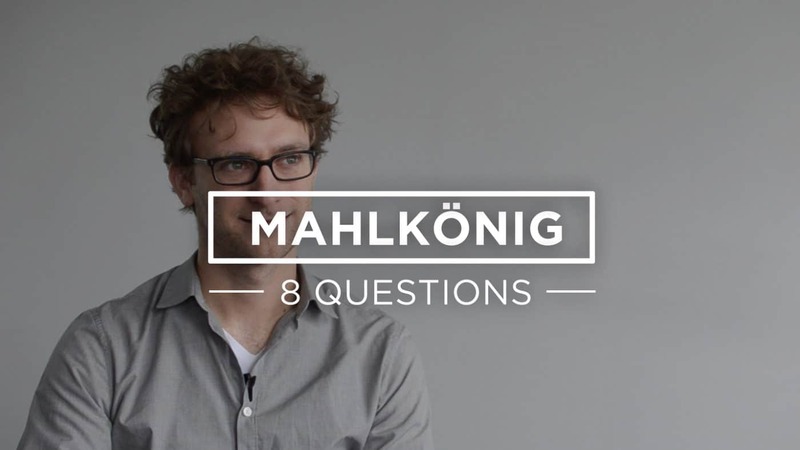 How does Mahlkönig treat their employees coffee wise? In the assembly [area] and in the production [building] we have couple of super automatics [grinders] and also batch brewers where employees can always make coffee for free. Whenever we come home from trade shows and from visiting customers we bring a lot of coffee and every now and then we also brew specialty coffees from all around the world for the assembly guys and production [line employees]. It is always very welcomed by them. 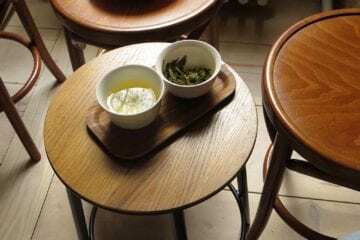 In our bar and showroom we have always a wide range of various coffees for filter and espresso. We are very fortunate to work in this industry and have always some good coffee around.